Or so they thought. People often think about giving it all up and just moving to a farm. In theory it sure does sound great. But as Derek and Steve quickly realized, the realities of being a farmer–especially when you have never lived on a farm let alone outside of the city–can be frantic, crazy, and even insane. 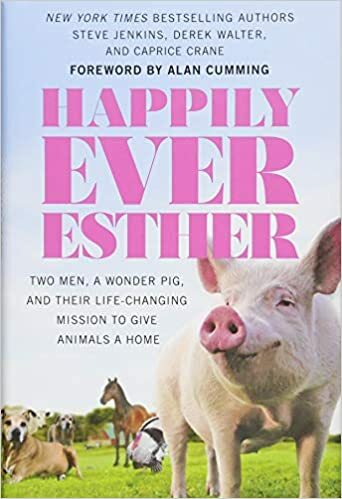 Not only are they adjusting to farm life and dutifully taking care of their pig-daughter Esther (who by the way lives in the master bedroom of their house), but before they new it their sanctuary grew to as many as 42 animals, including: pigs, sheep, goats, rabbits, chickens, cows, roosters, a peacock, a duck, a horse, a donkey, and a barn cat named Willma Ferrell.